EQUIPE DES 3EMES P FILLES TERMINE 3EMES DU TOURNOI. EQUIPE DES 4EMES J GARCONS TERMINE 3EMES DU TOURNOI. TONY DANSAC OBTIENT SA QUALIFICATION DE J.O. ACADEMIQUE EN VOLLEY-BALL. ALICE MAROT ET LUCIE MAROT TERMINENT 2EMES EN FILLES. CLARA LASCAULT ET CLEMENCE FOUCTEAU TERMINENT 3EMES. THIMOTEE BREUIL ET THEO LARDEUR TERMINENT 3EMES CHEZ LES GARCONS. COME LEBRUN TERMINE 3EME DU CHAMPIONNAT DEPARTEMENTAL EN MINIME GARCON. JEFFREY STINCO	TERMINE 1ER DU CHAMPIONNAT DEPARTEMENTAL EN CADET. ELISE BOYER TERMINE 1ERE DU CHAMPIONNAT DEPARTEMENTAL EN CADETTE. LUCIE MAROT TERMINE 1EME DU CHAMPIONNAT DEPARTEMENTAL EN BENJAMINE. 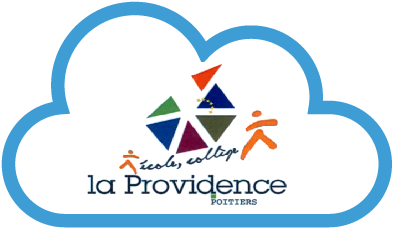 LOUISE FRANCHET TERMINE 2EME DU CHAMPIONNAT DEPARTEMENTAL MINIMES FILLES EN JAVELOT AVEC UN JET A 22m.04. CÔME LEBRUN TERMINE CHAMPION DEPARTEMENTAL DU 50m. AVEC UN TEMPS DE 6 secondes 7dixièmes.